Sendai is the capital of Miyagi and the largest city in the Tohoku region. It is known as the "City of Trees," given the large number of zelkova trees that line some strees, such as Jozenji-dori. Sendai is composed of 5 districts and has a population of about 1 million. Sendai has a fairly sizeable foreign population, in part due to the number of students studying as Tohoku University and other universities in the city. The population of the city makes it characteristically younger than many other areas in Japan. Sendai is the big city north of Tokyo on Honshu Island, so there's lots to do! Even if you don't live in the city, many people will gather here after work or on the weekends. Although Sendai has a long history, the area is particularly famous for a feudal lord named Date Masamune. He and his clan relocated to Sendai during the Tokugawa period and lived at Aoba Castle. The castle itself was largely destroyed during WWII, but it still remains today as a tourism spot in the city. Dontosai Festival: This is the first major festival of the year and it is held on January 14th. It's a traditional New Year's Festival where people bring decorations to be burned in a large bonfire, and pray for good health and good fortune. The most popular venue to hold this festival is at the Osaki Hachiman Shrine, famous for its hadakamairi (men dressed only in loincloths marching to the shrine). Sendai Aoba Matsuri: This festival takes place on the 3rd weekend in May. There are big red wagon floats, Date Masamune impersonators, and suzume odori dancers. Most of the festival takes place in the area west of Sendai Station. The dancers and floats are on Jozenji-dori, too. Sendai Tanabata Festival: This festival takes place from August 6th to 8th. It celebrates the meeting of the stars Orihime (Vega) and Hikoboshi (Altair). Tanabata is celebrated all over the country, but Sendai's Tanabata Festival is one of the biggest. Enormous paper decorations are hung from bamboo poles within the covered arcade. There are also fireworks on the evening of August 5th. The Jozenji Street Jazz Festival: This festival is held on the 2nd weekend of September. It brings musicians from all over the world to Miyagi. There are stages all over the city where hundreds of musicians play free shows. If you love music, this festival is a must. Sendai Pageant of Starlight: In December, thousands of lights illuminate the zelkova trees along Jozenji-dori. If you manage to get there just as they turn on the lights, it's an unforgettable soectacle. There are also food stalls and an ice rink right around Kotodai-koen. Rakuten Eagles are the Sendai baseball team. Rakuten became the Pacific League Champions in 2013, and this is the most popular team to cheer for in Miyagi. They play out of Kobo Miyagi Stadium in Sendai. It's accessible by a 15 min walk from the east exit of Sendai Station or by taking the Senseki Line to Tsutsujigaoka/ Miyaginohara Stations. Vegalta Sendai is the Japan League Division 1 soccer team. You may recognize this name as a combination of the names of 2 stars that meet for the Tanabata Festival (Vega and Altair). Home games are played at Yurtec Stadium near Izumichuo subway station or at Miyagi Stadium in Rifu. Even if you don't watch soccer, the crowd will get you in the mood! You can watch their home games at the Sendai Taiikukan (Sendai Gym) near Tomizawa subway station or at Xebio Arena in Nagamachi. Their regular season is from October until the end of April. Loople Bus: This bus stops at a variety of sights in Sendai. You can get a one-day pass for unlimited rides for 600 yen. It leaves from Sendai Station at bus stop 15-3. Zuihoden Mausoleum: It is considered one of the best sites in Sendai. This is the site where Data Masamune and his family are interred. Sendai City Museum: It is home to a large collection of historical pieces, and hosts a variety of events and lectures. Aoba Castle Ruins: A popular summertime spot when different suzume odori groups perform on Sunday afternoons. Although the castle itself is no longer there, the stone walls and guard house have been reconstructed. Tohoku University's Botanical Garden: The large garden has a couple of trails that make for a nice stroll. There's also a recreation area that's good for picnics. Museum of Natural History: The museum has a large collection of natural specimens, including a variety of fossils from across Asia. Miyagi Museum of Art: The museum holds a variety of both Japanese and Western art beginning from the Meiji Period, along with some works specific to the Tohoku region in their permanent collection. They also run special exhibitions from all over the world and host workshops. Sendai Mediatheque: The mediatheque features as a public facility - functioning largely as a library, as well as being host to a variety of exhibitions and community events. Osaki Hachimangu Shrine: The shrine is designated as one of the national treasures of Japan and it hosts a variety of festivals. 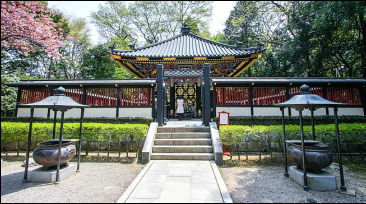 Rinnouji Temple: Considered one of the city's important cultural artefacts, it has an excellent garden. Science Museum: This museum is home to several science and natural history exhibits, including outside nature tracks. The museum is located in Dainohara Shinrin Koen. Umino-Mori Aquarium: The new aquarium moved from Matsushima to a modernized and expanded facility near Nakanosakae Station. Make sure to check out one of the shows while you're there. Yagiyama Zoo: The zoo is now accessible by the new Tozai Subway Line. Benyland: An amusement park located close to the zoo. Sendai Hi-Land: An amusement park on the JR Senzan Line at Kumagane or Sakunami Stations. Nikka Whisky Sendai Factory Miyagikyo Distillery: There is no entrance fee for the factory. Take a tour, learn about Nikka Whiskey, and try some samples! Movix Sendai Cinema: Located in the Nagamachi Mall complex, accessible via subway from Nagamachi South Station. Forum: This movie theatre is accessible via subway from Kitayobancho Exit 2. Cine la Vita: This cinema is run by the same company as Forum so they share the same website. It's accessible from Sendai Station East Exit on the 2nd floor of the BIVI bldg. Miyagi International Association (MIA): The centre, located in Kita-Sendai, organizes Japanese language classes, cultural exchanges, and many other events. Live Houses: The Live Houses in Sendai include Junkbox, Macana, and Ripple. Bigger venues include Sendai Sun Plaza and Tokyo Electron Hall. These are all great venues that host local and international bands/ musicians. Ice Rink Sendai: This indoor ice-skating rink is open to the public, and it's located about 1 km from Izumi-chuo Station. Sendai Play Bowling (仙台プレイボウリング): This bowling alley is located right by Sendai Station. Darts and Billiards: There are many dart bars and billiard halls as you walk through the covered arcade. Be careful to check the minimum spending amount before you play. Pachinko: It's really hard to miss because of the bright lights and loud noise when the doors open. Game Arcades: Another place that's impossible to miss because of the crowded crane games. AER Building: This is where you can find Uniqlo, Maruzen, and Starbucks. There is a great view from the the 31st floor. PARCO: There are a variety of stores, Tower Records, and restaurants on the 9th floor of the building. S-PAL: Located inside and next to Sendai Station, S-PAL has a variety of clothing, beauty, and home stores. Loft: Right across from Sendai Station, Loft has several floors of a large variety of goods. Restaurants on top floor. 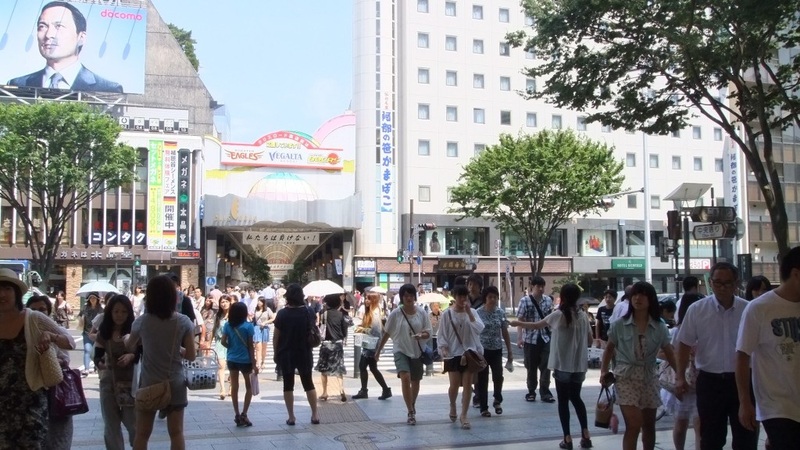 Sendai Nagamachi Mall: A shopping complex with a few western shops and a cinema. Outlets: There are 2 outlet malls in Sendai. Sendai-Izumi Premium Outlets and Mitsui Outlet Park. Clis Road/The Arcade: A long stretch of clothing and shoe stores. Stores range from very affordable to high-end fashion. There's an Apple Store with English-speakers. Yodobashi Camera: This place has just about every gadget you could imagine for all of your home, cellphone, and internet needs. It's located at the East Exit of Sendai St. There is quite a bit of variety that you can get in Sendai. You can have Japanese, Chinese, Korean, Thai, Indian, Jamaican, French, Italian, Spanish, and American cuisine. Rikyu: This is where you want to go for the best gyutan (beef tongue) in Sendai. Kagetsu: This is An inexpensive little ramen shop with huge portions. 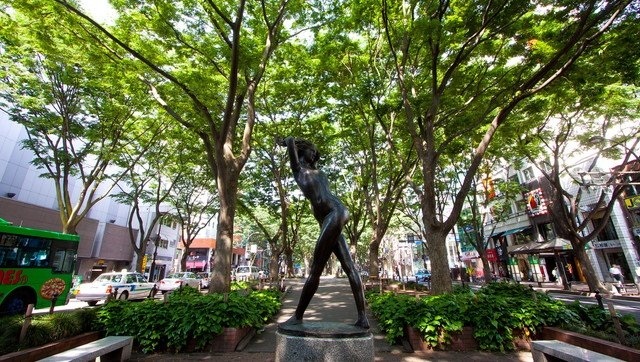 It's located near the Miyagi Prefectural Office. Teddy's Diner: This is a great burger joint with a nice atmosphere. It's also located near the Prefectural Office. CRAFTSMAN Sendai: Do you like Craft Beer? Then this is the place to go with over 30 beers on tap and great food! Craft Beer Market: This is a brand new craft beer place with exceptional drinks, food, and service in Kokubuncho. Gladio: If you're looking for Spanish/ Mexican food, then this is the place to go! It has an energetic atmosphere and the staff is really friendly. Happy hour on weekdays from 6-8pm! MANAS: A vegetarian Indian restaurant run by some friendly Indian people. You can choose your own curry set! Middle Mix: Offers a variety of dishes incuding falafel, hummus, and baklava, as well as hookah. Flat White Coffee Factory: If you're craving brunch with eggs benny and pancakes, then this is the place to go! The owner lived in New Zealand and Australia, so you know the coffee is top notch! There are 2 locations. The nightlife in Sendai is centred around the Kokubuncho area, near Ichibancho. There are tons of bars, but you have to be careful of seating charges. It's best to go with someone who knows the area. Some all-you-can-drink venues in Kokubuncho include Ageha, Marrackech, Bueno Bueno, Osamu's, and Tora-no ana. Oggi Domani: This standing bar is located across from Sendai Station. The music's good and they have tapas. Sendai Milk Hall (80s bar): This bar will transport you back to the 80s. It's located right next to Oggi Domani on the second floor. You can listen to retro music while enjoying some cheap drinks. All you can drink kamikazes! HUB: Looking for a British sports pub? You'll probably find all of the foreigners gathered at one of the two locations. Inatora: This bar is great for happy hour between 5-7 pm. The tapas are also half off during this time. Ernie's Bar: Located in Kokubuncho, Ernie makes AMAZING cocktails. Vilivan: They have a happy hour and discounts for English teachers! It's on the 2nd floor of Zooop! Bar, Isn't It? : This club is located in Ichibancho. Yankee Court: This club is located near Bar, Isn't It? but it's quite a bit smaller.